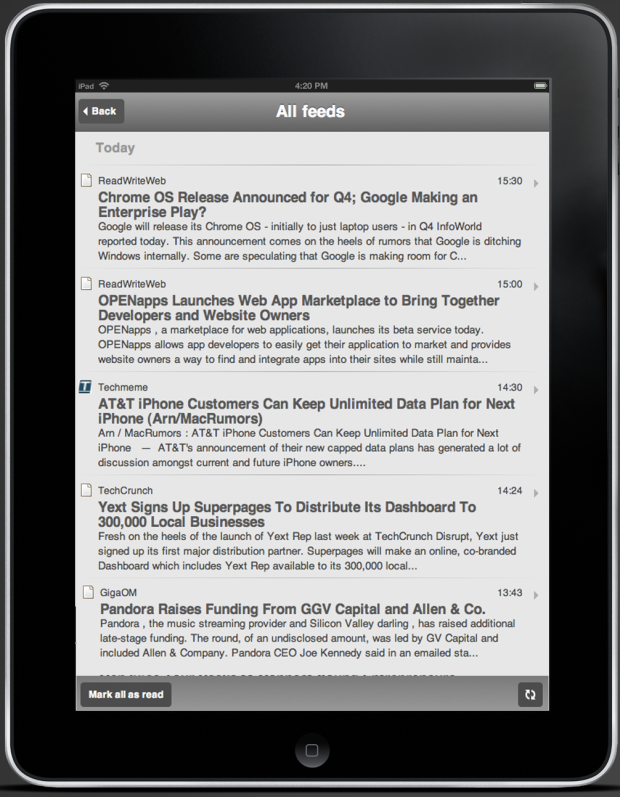 Netvibes, which has been making start pages more personalized and more ‘real-time’ for users for years now, is working on an iPad application website. The alpha version of the site will be available later today (screenshot below), but users will have to wait a couple of more weeks for the launch of the more polished version (screenshot above). The site you’ll be able to visit later today will not enable people to create or edit Netvibes accounts and won’t allow users to share content via Twitter, Facebook and the like, among other limitations. What both versions will have, is synchronization with the Netvibes desktop version. That means users will be able to from their desktop or notebook computer to the iPad and continue to consume content, while already read and unread posts will be marked as such on both. Truth be told, I think this iPad-specific site will be appealing to existing users, but there are a bunch of dedicated feed readers out there for the iPad that offer mostly the same, if not a better, experience than what Netvibes will have to offer. 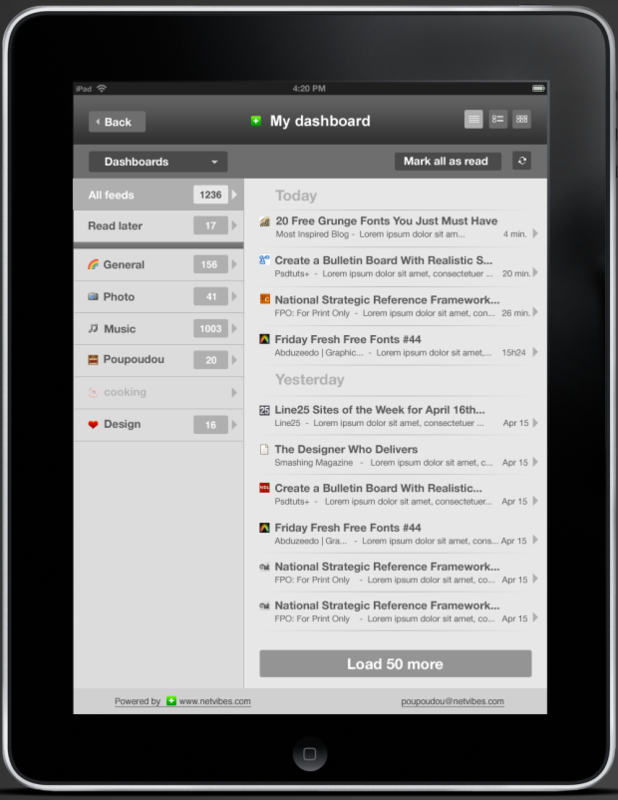 Check for example the Pulse iPad app, created by two Stanford grads, that I recently wrote about. I’m also left wondering why Netvibes isn’t looking at creating experiences for iPhone and Android first (they tell me they’ll come, eventually).